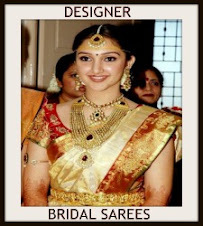 Check out embellished long sleeves designer saree blouse. 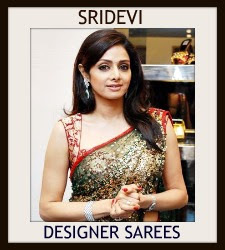 tags: Designer saree blouse, Kundan work blouse. 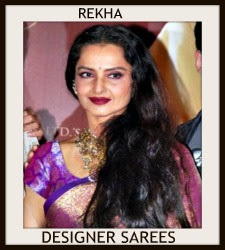 Tisca Chopra at HT Mumbai’s Most Stylish Awards 2015 in black pleated saree designed by Bhaavya Bhatnagar, paired with black pants and hand embroidered georgette blouse. 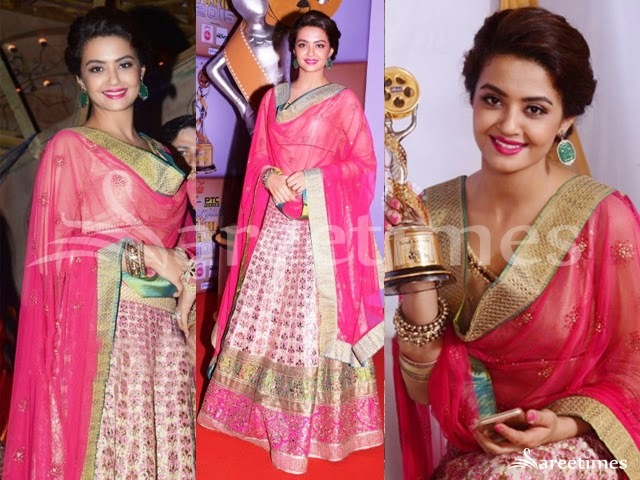 Surveen Chawla at Punjabi Film Awards 2015 in pink lehanga designed by Manish Arora with embellished printed designs over it, paired with floral patch worked blouse and georgette dupatta. 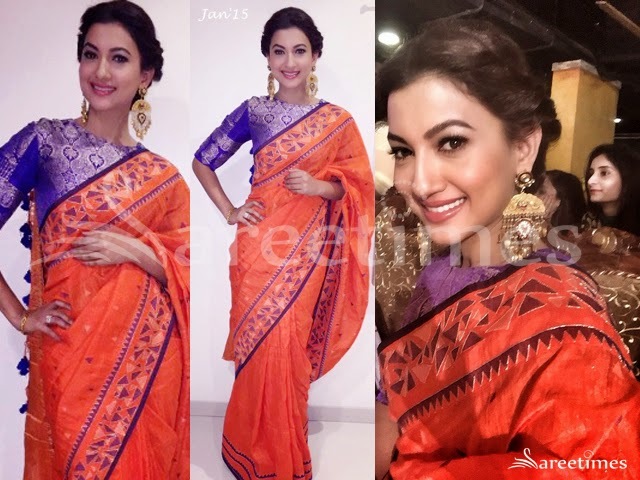 Actress Gauahar Khan at wedding reception in orange color saree designed by Vaishali S with printed designed borders and floral imprints over the saree followed with rich pallu, paired with contrast color elbow sleeves blouse with printed zari designs over it with boat neck patterned blouse. 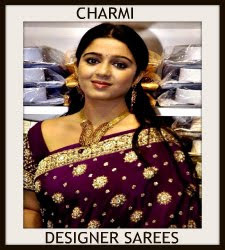 Actress Charmee Kaur at "100 Hearts by CCL" fundraiser event in peach color chiffon saree designed by Mrunalini Rao with dual color border and embellished with small bhutis all over the saree, paired with black embellished short sleeve blouse with boat neck patterned blouse with sheer neckline. 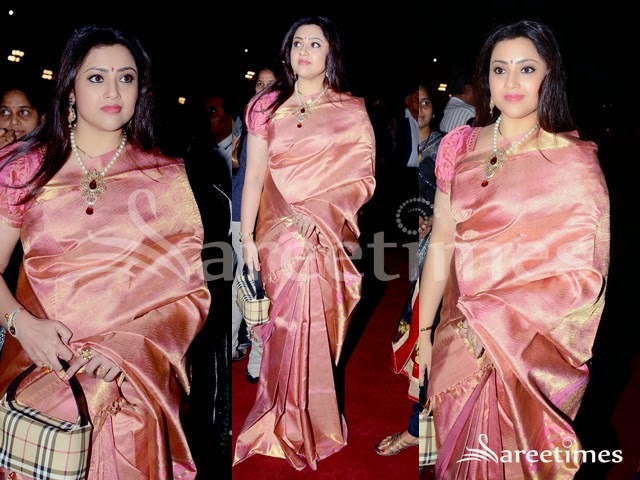 Meena at T Subbramani Reddy grandson Rajeev Reddy's wedding celebrations in light pink kanjeevaram saree with gold zari work all over the saree and with zari border, paired with pink color short and puff sleeved silk blouse. 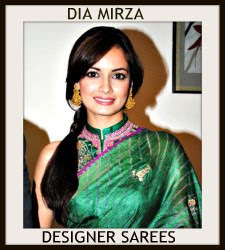 Plain light green saree with triple colored and printing borders , paired with noodle strap blouse design. 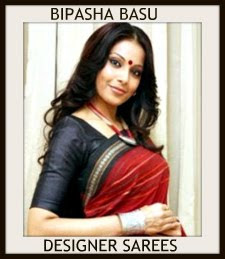 Black Saree with heavy mango designed patch work borders and rich pallu and embroidery designs at the pleats, paired with noodle strap blouse. Double Shaded Saree with green and purple color Saree with golden zari designed border with patch works, paired with noodle strap designed blouse. 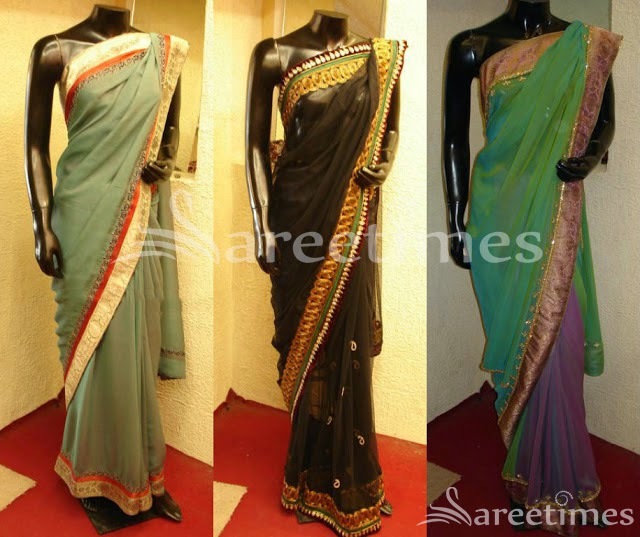 Beautiful sarees in elegant color combination designed by Sagar Tenali of Hyderabad. Beautiful pink embroidered short sleeves saree blouse for back. 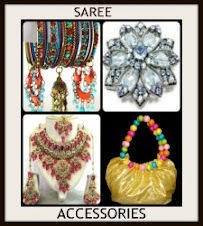 Embroidered zircon stones,sequins buttes and applique patch work designs highlighted on it. Gold thread and green simple line through out neckline border. 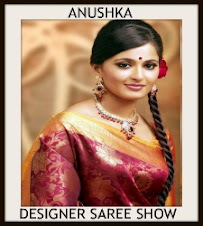 It is a pink embroidery cap sleeves saree blouse. 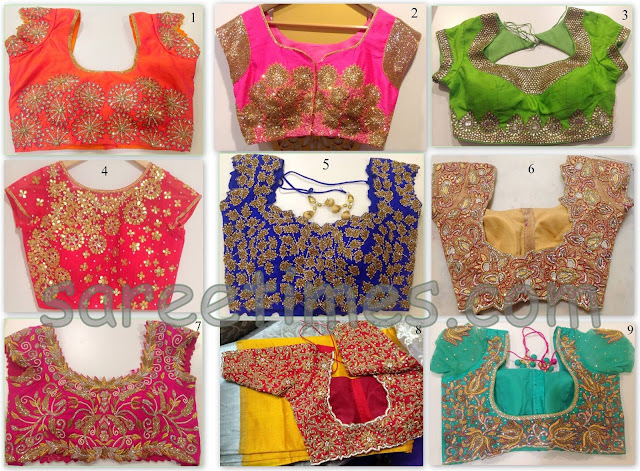 Small mirrors,pink kundans,sequins buttes and gold thread work highlighted on blouse. 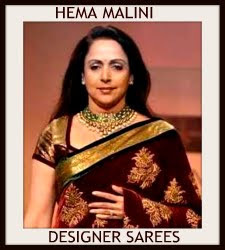 It is a beautiful purple designer embroidery silk saree blouse. Embroidered mirrors all over blouse. 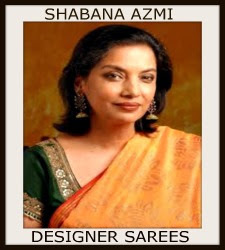 Embellished applique leafs motifs,kundan,stones and sequins buttes through out neckline border. A beautiful blue designer embroidery georgette blouse. 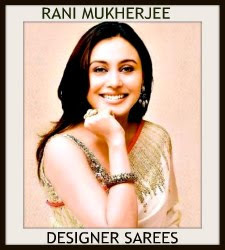 Embroidered mirrors,sequins,crystalized glittering work highlighted on it. It is beautiful orange designer raw silk embroidery blouse designs. Embroidery zardosi and white stones through out neckline border. 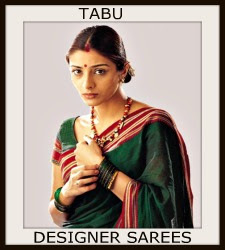 For more details click here https://www.facebook.com/Prabhablouses.